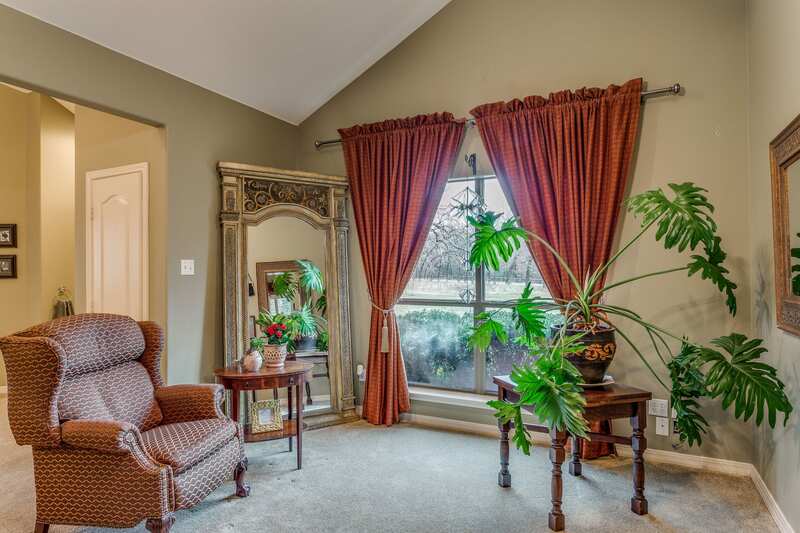 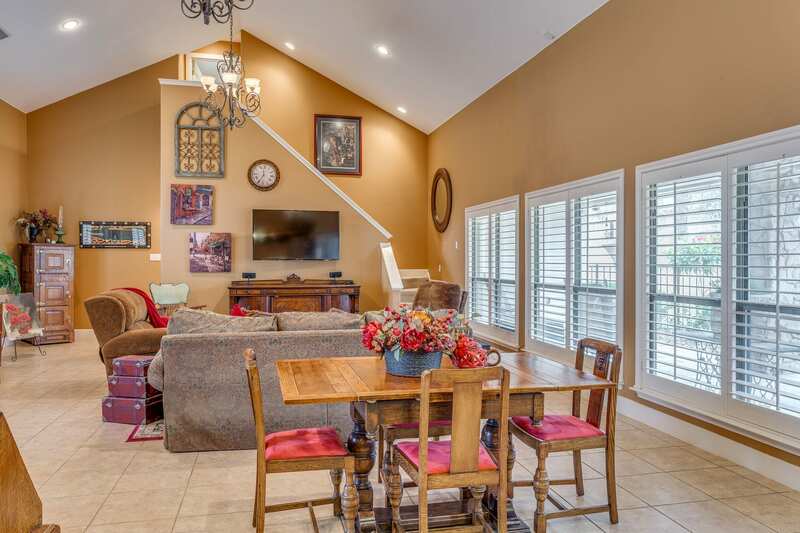 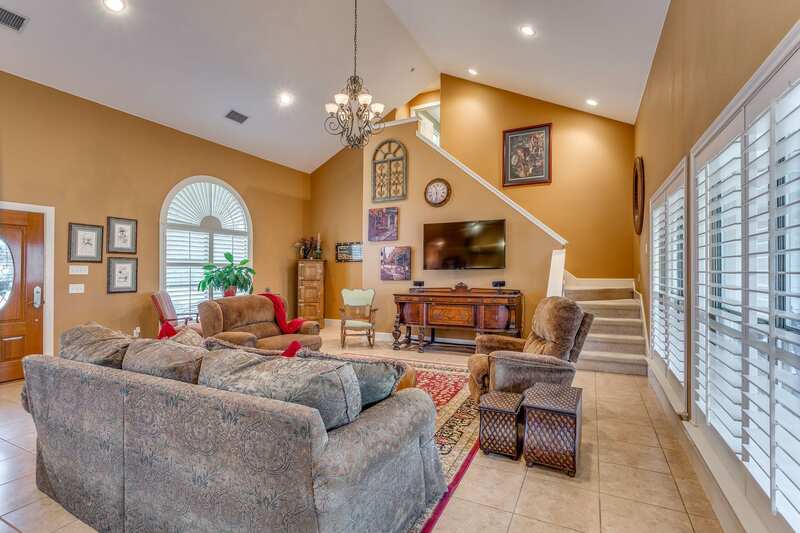 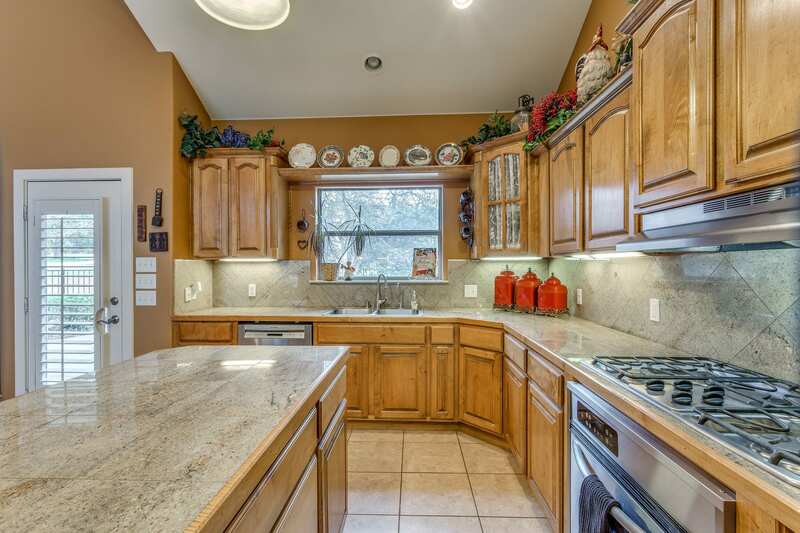 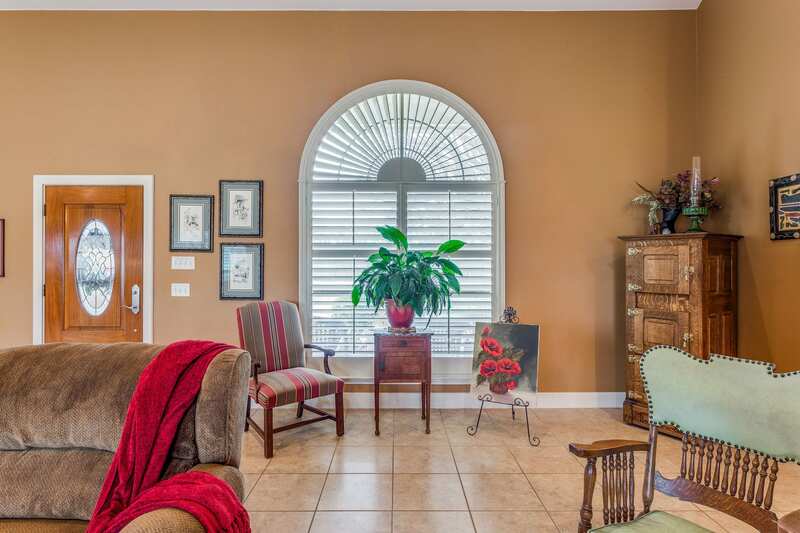 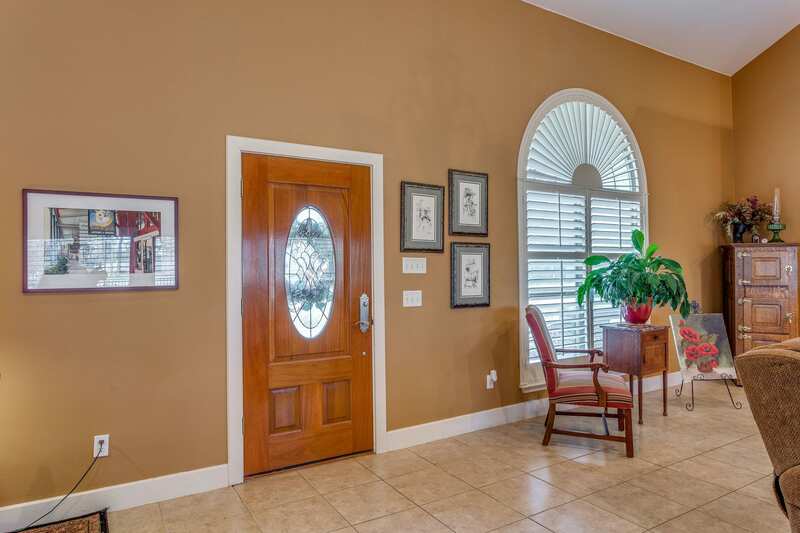 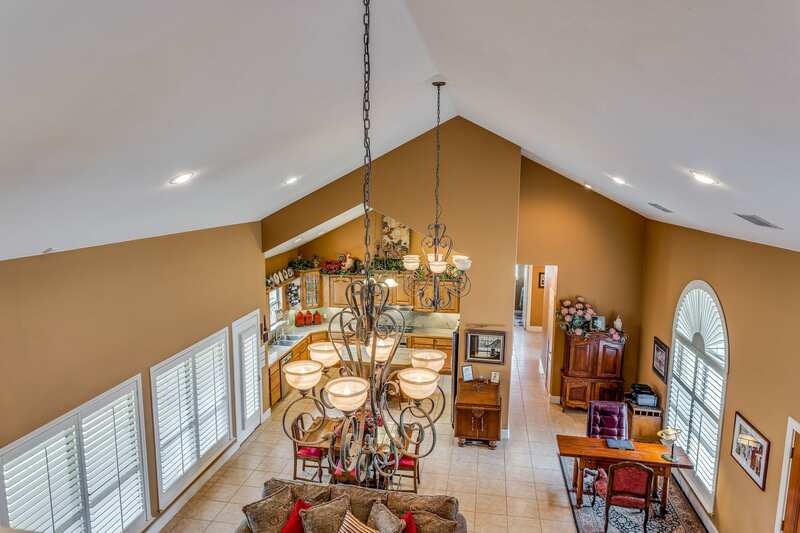 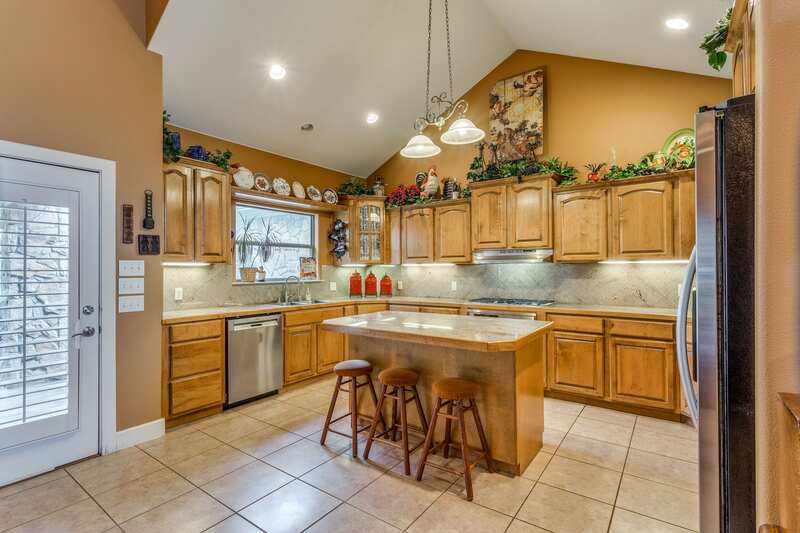 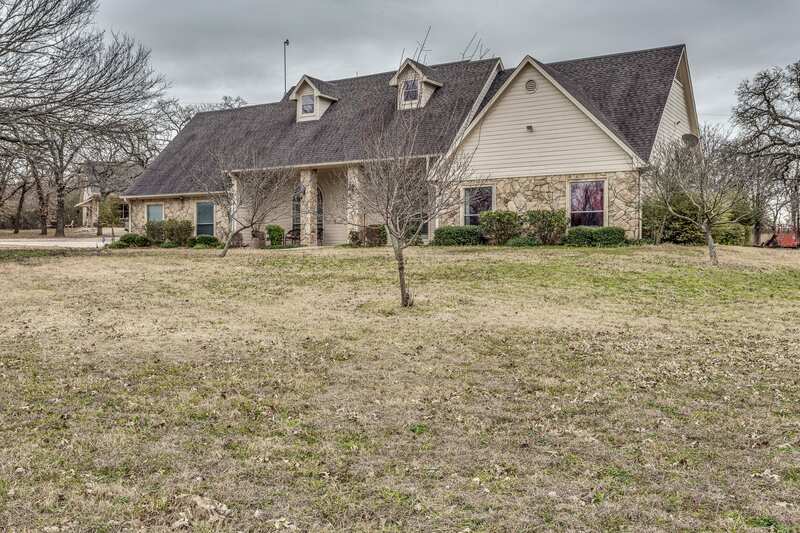 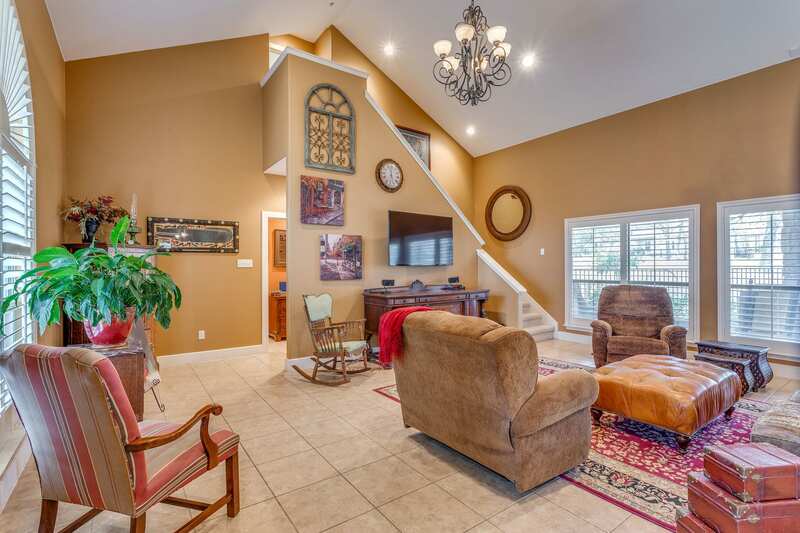 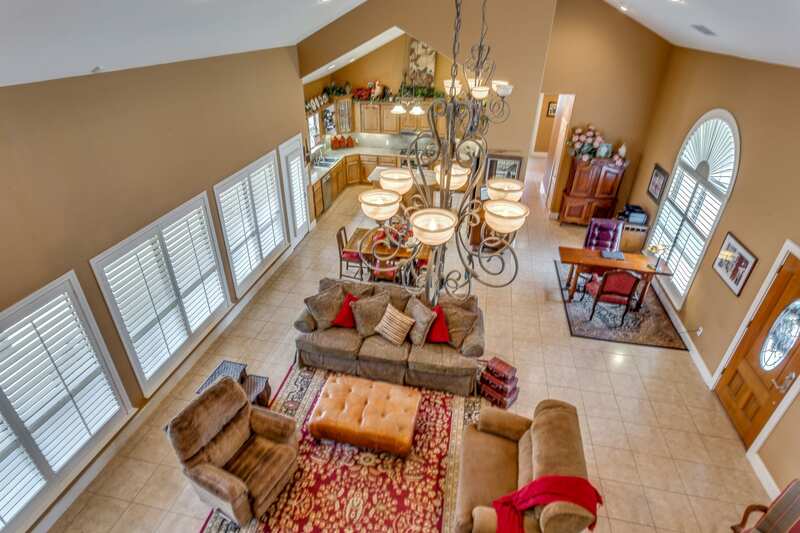 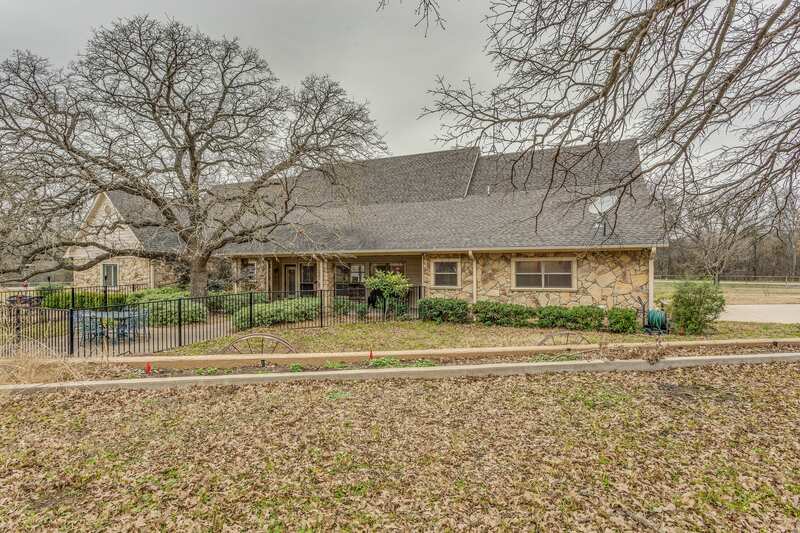 Gorgeous custom 4 bdrm, 3 bath executive home on wooded corner 1.7 acre tract of land. 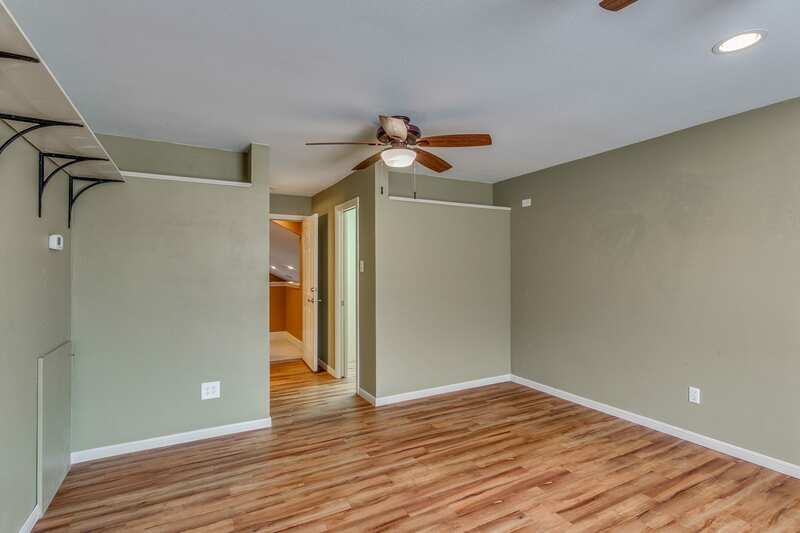 Step through the frt door into a spacious 27 x 22 living dining area with soaring ceilings to the second floor. 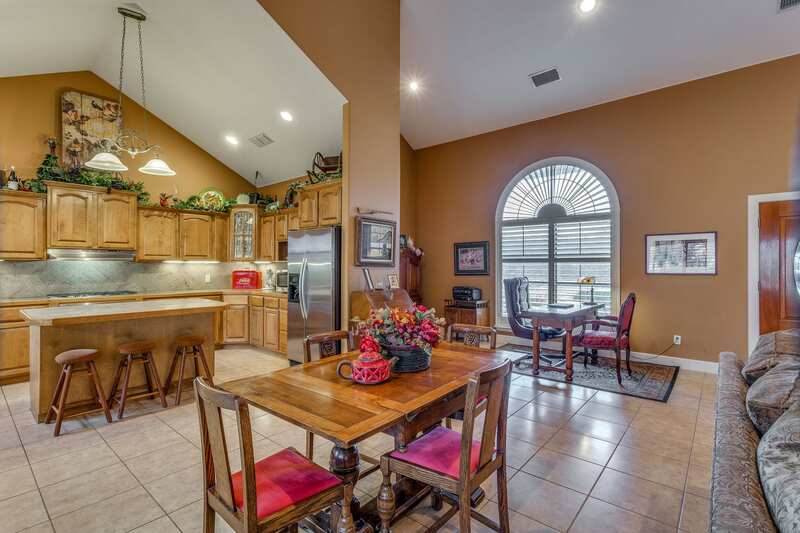 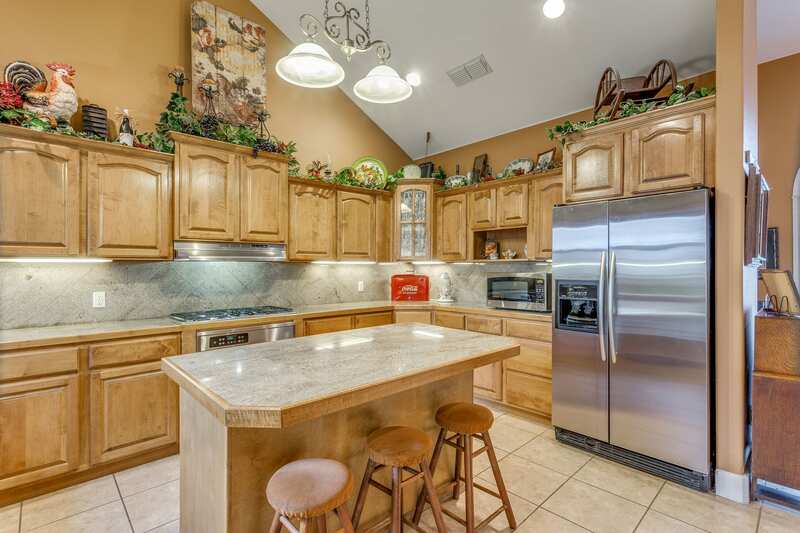 This open concept home has beautiful raised panel cabinetry in the kitchen plus an island with breakfast bar, ss appliances, granite & cathedral ceiling. 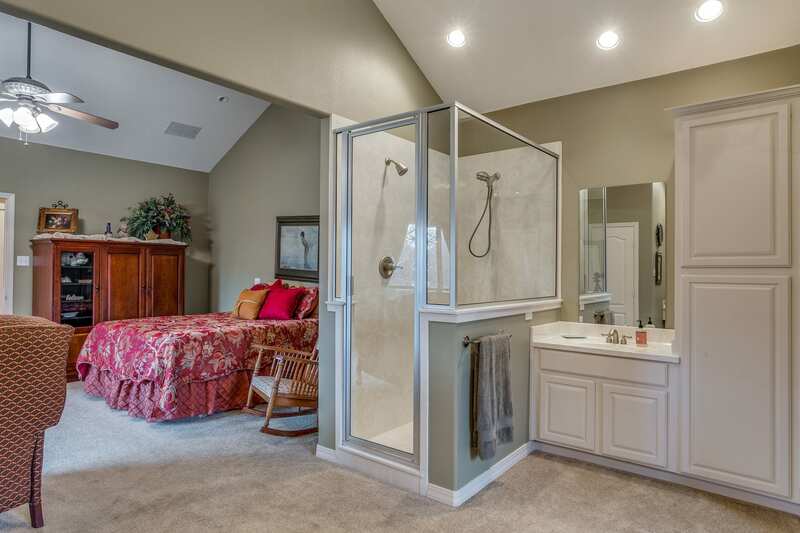 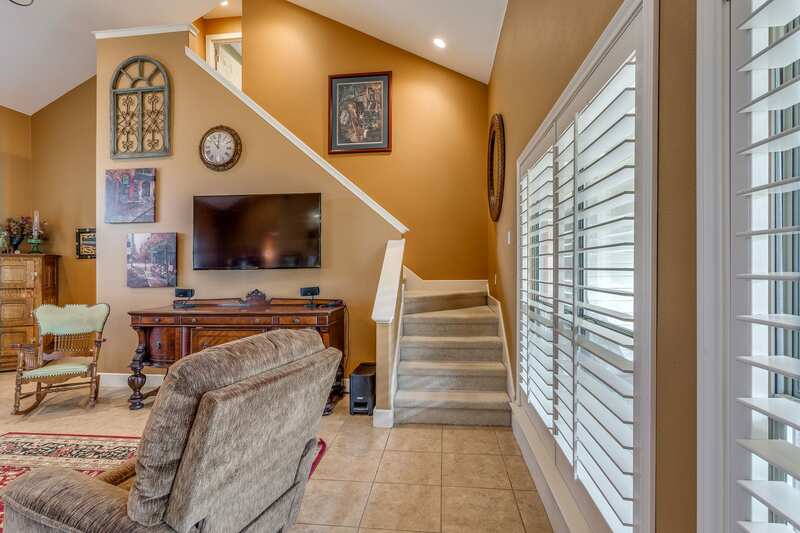 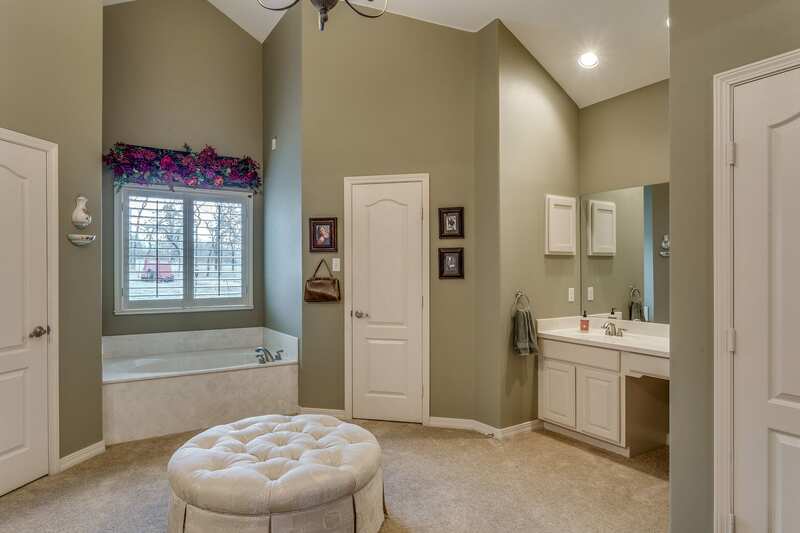 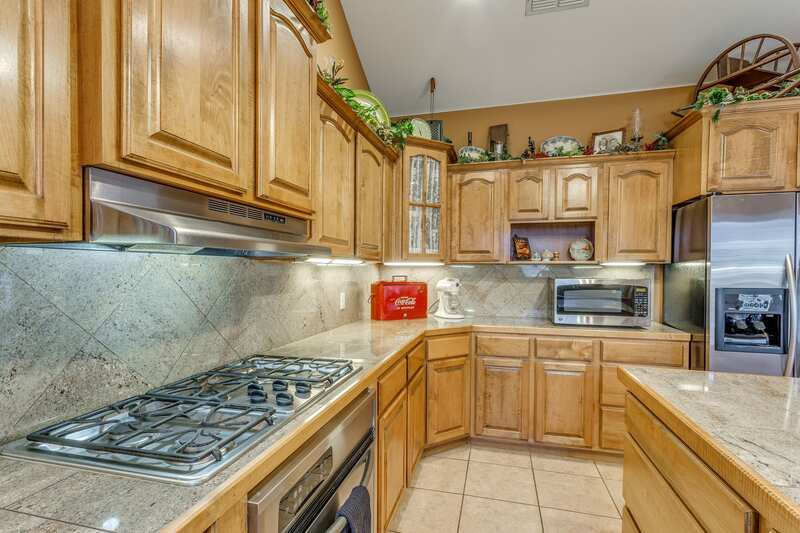 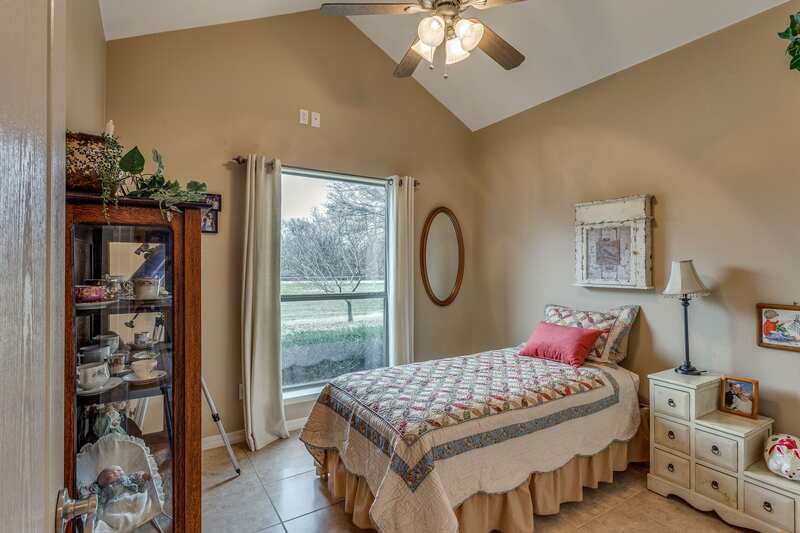 This home has a Luxurious master bdrm, sitting area, bath with separate shower, garden tub, dual sinks, & double closets. 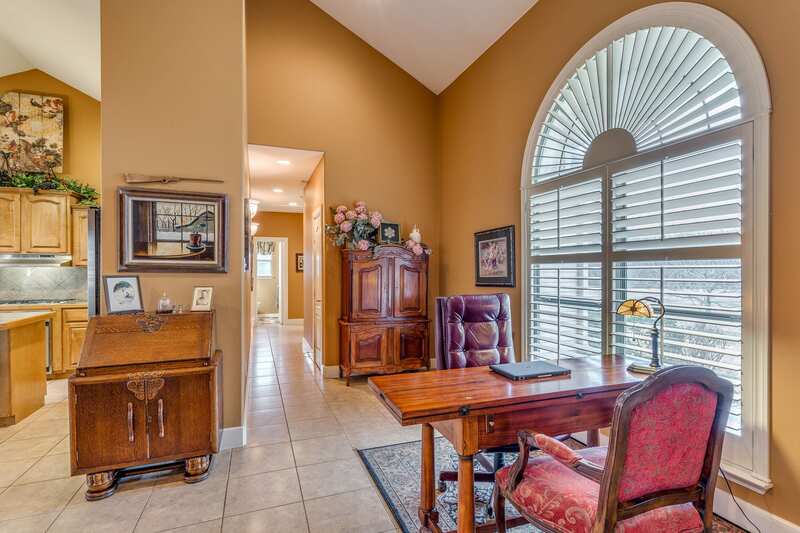 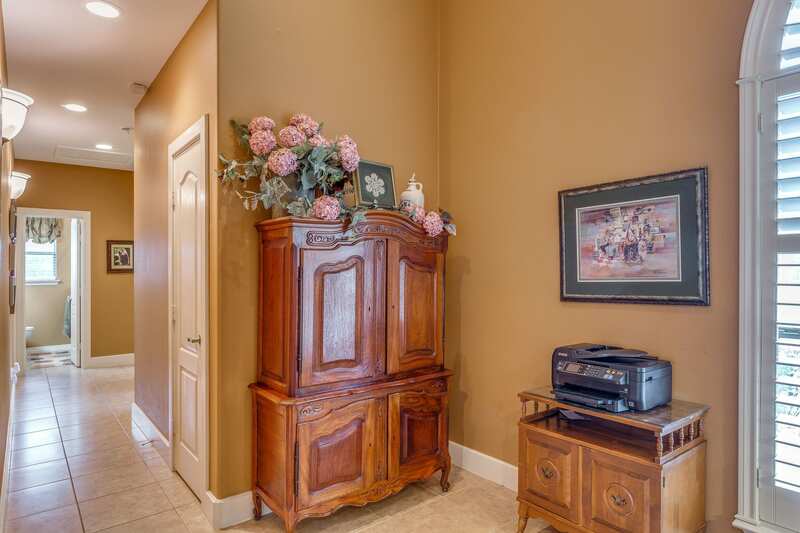 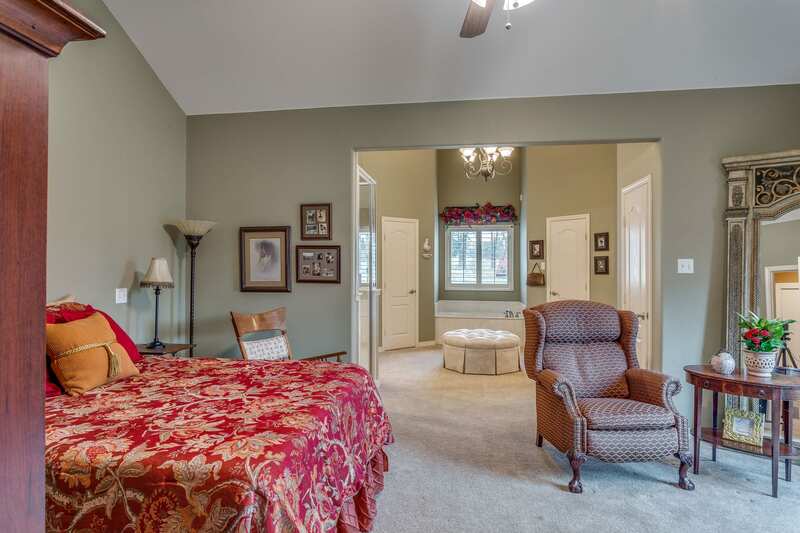 Downstairs is an office,& three more bedrooms. 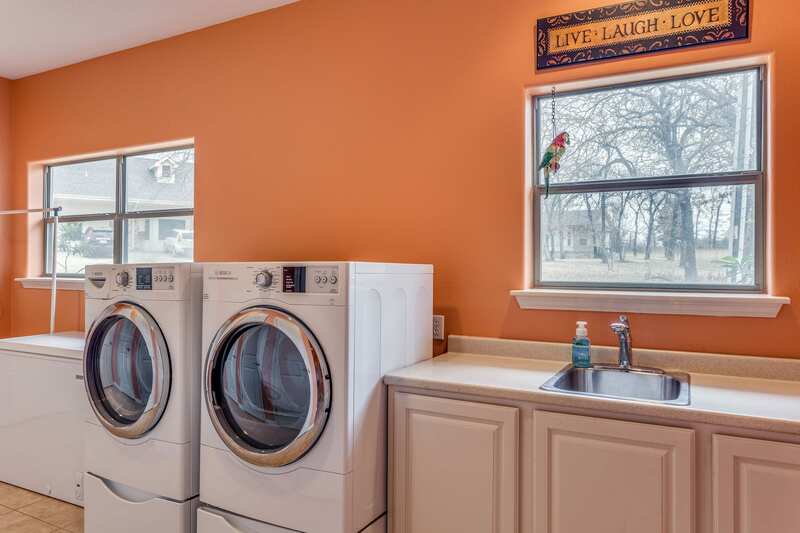 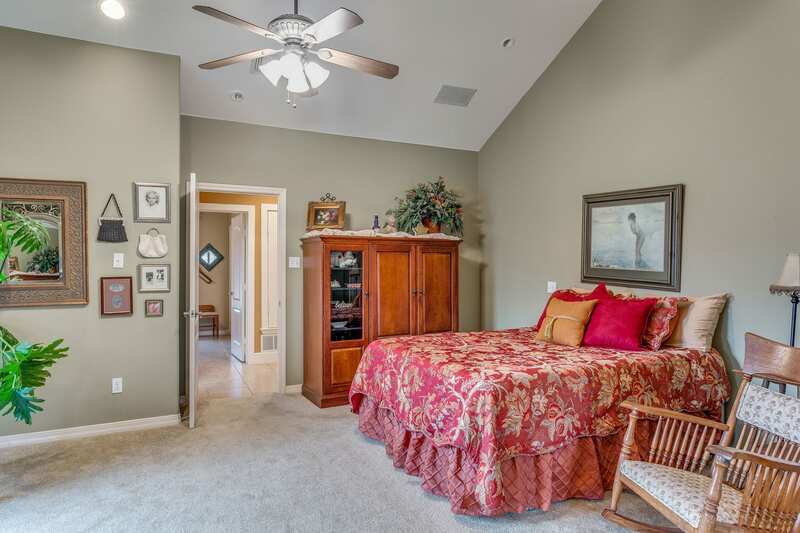 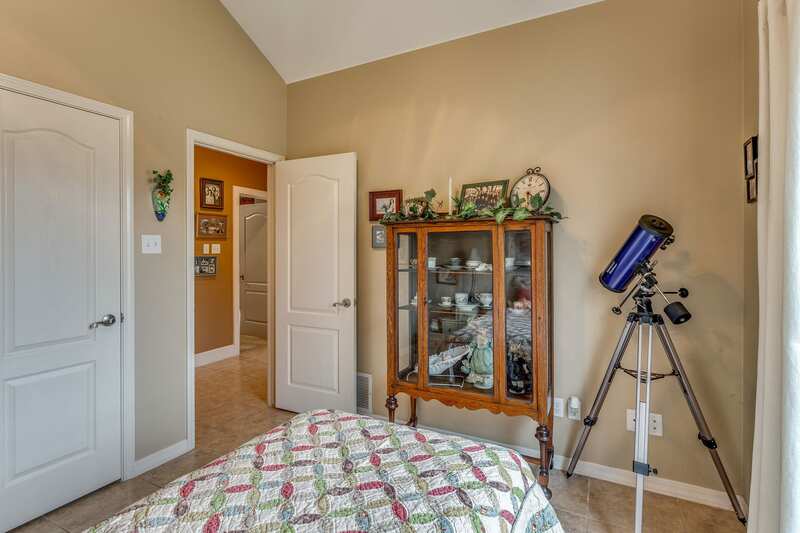 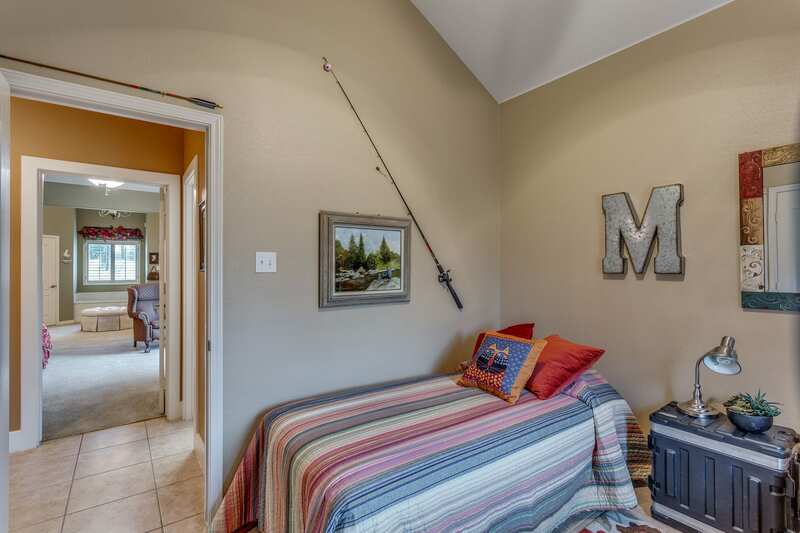 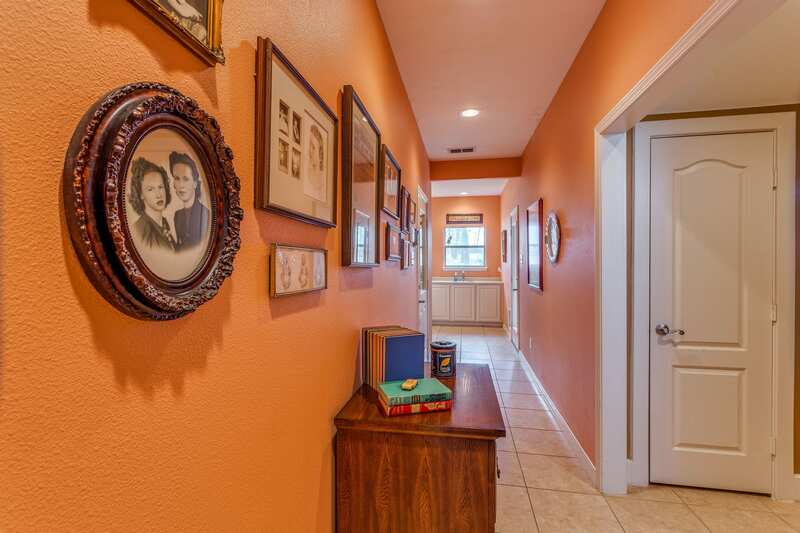 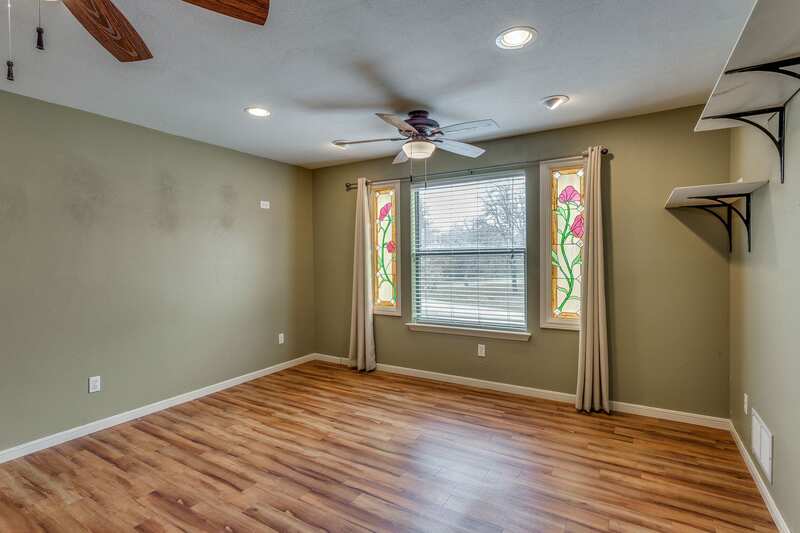 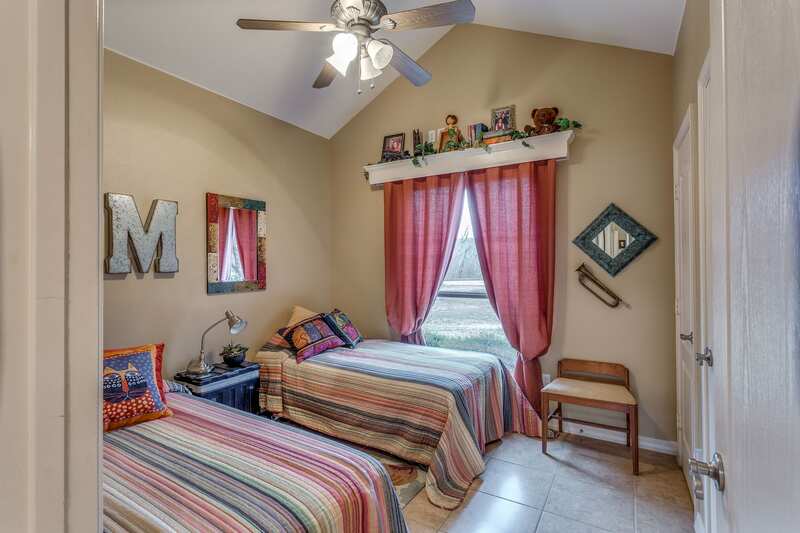 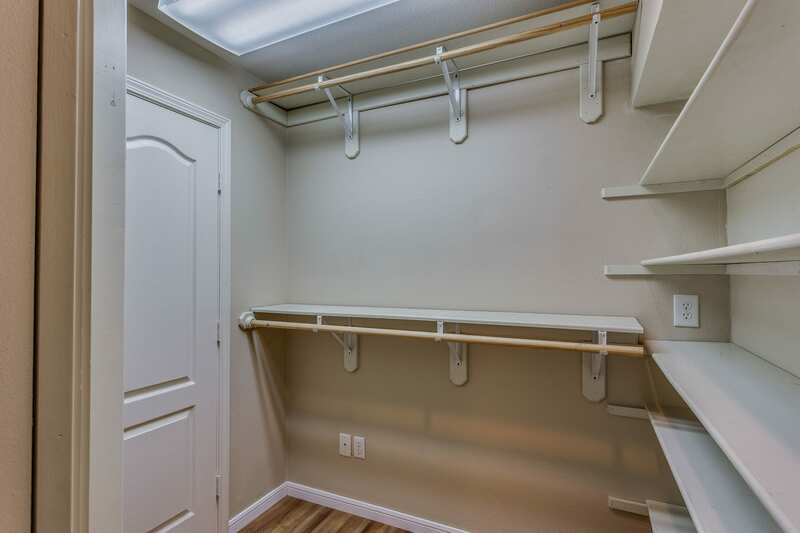 Upstairs is a bedroom with full bath & walk in closet. 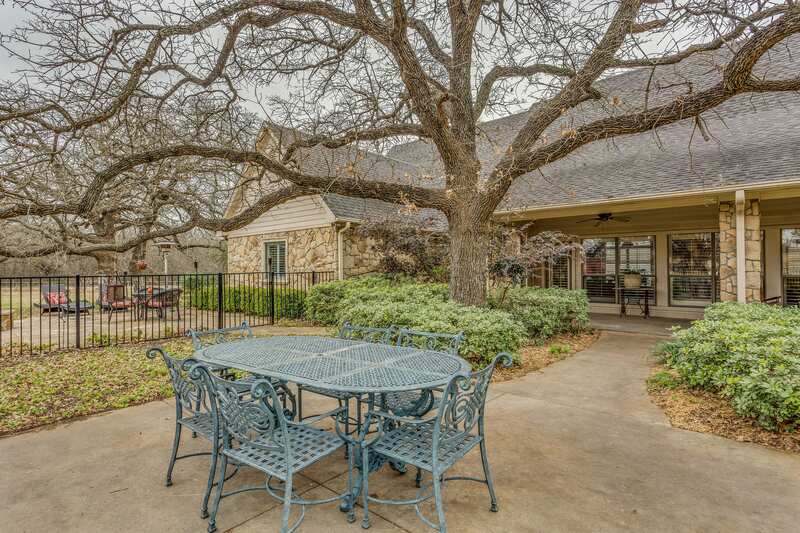 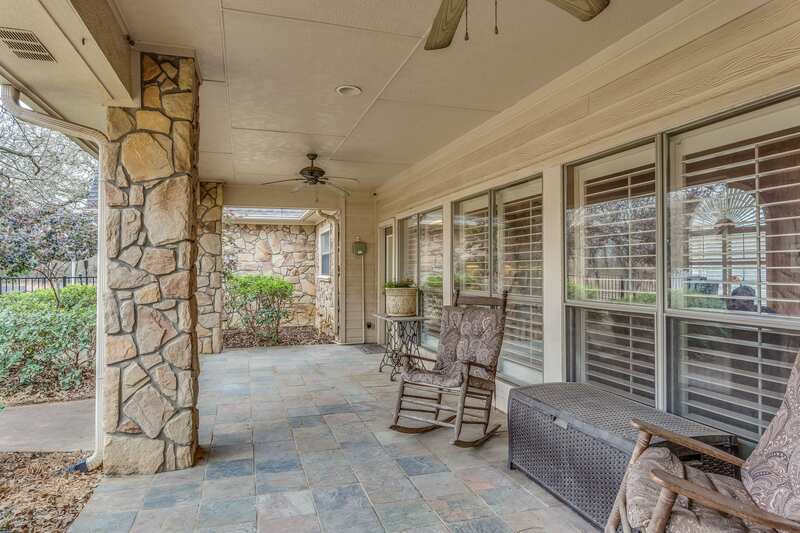 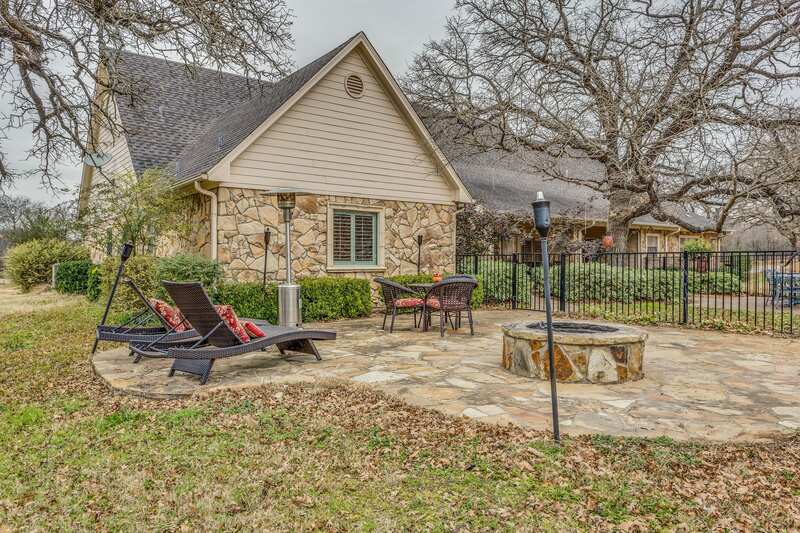 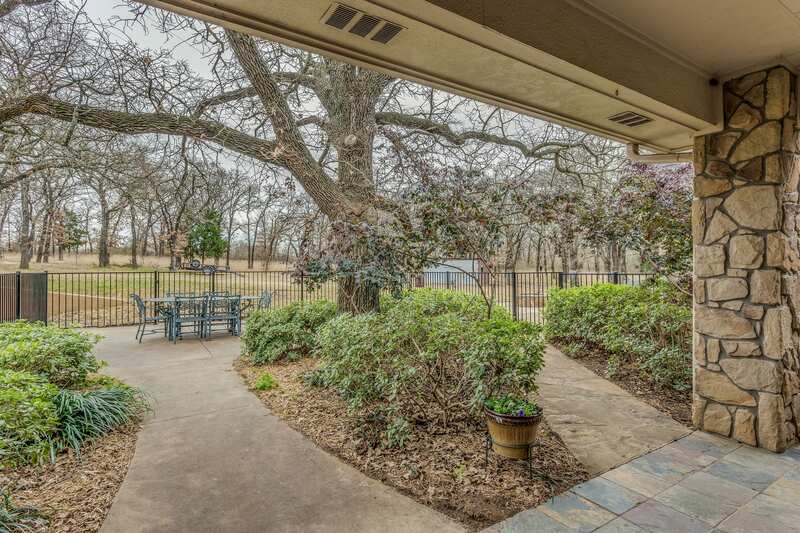 Step outside into your own private oasis that has pretty landscaping, iron fencing, covered patio & addtl open patio with fire pit.